Airtricity Dublin Marathon 2013 – Results — St. Finbarr's A.C. 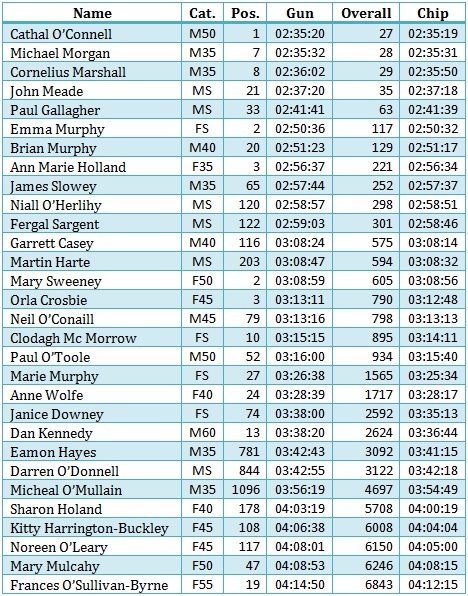 Here are the results of all St. Finbarr’s athletes who took part in the Dublin Marathon. Congratulations to all! As you can see there were many individual medals won and St. Finbarr’s won the Senior Ladies Team Prize with Emma Murphy, Anne-Marie Holland and Mary Sweeney bringing home the gold!! !